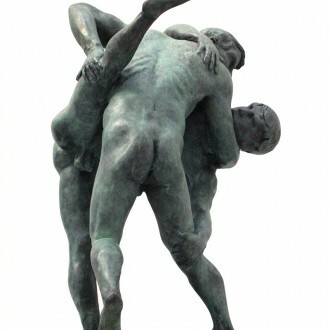 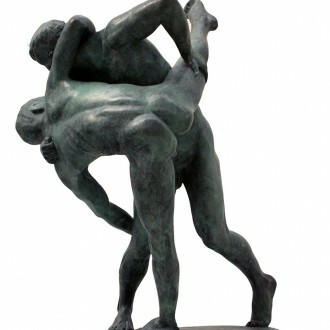 The subject of wrestling, like dance, allows figures to interact in dymanic and surprising way. 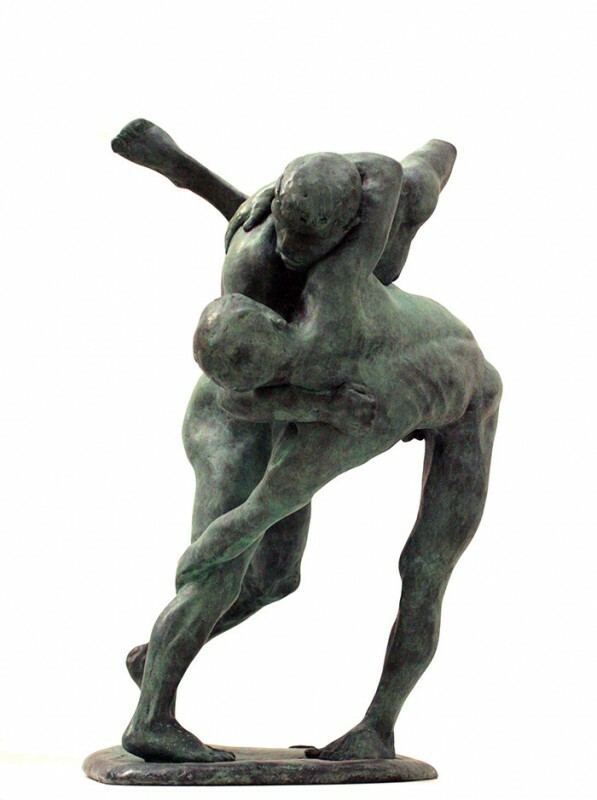 Here two male figures spar with each other in a balletic manner. 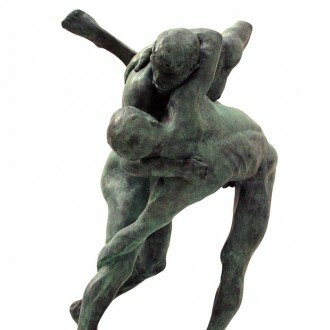 Size: 18" x 9.5" x 10.5" / 46 x 24 x 26.5 cms.